Falling pray to our deepest desires is only normal – we’re humans after all. And wanting what you can’t have is always a biggie. In car terms, this means people will often go to great lengths to have something different and just a tad bit special. Take the owner of this GX81 Mark II Grande for instance. He’s no stranger to Speedhunters, Mike actually featured his car back in 2013, but I just couldn’t resist grabbing a few shots of the Toyota as it sat on display at the recent Track & Show event. I’m often blown away by the extremes people will go to in creating something unique, even if doing so takes the longer route. 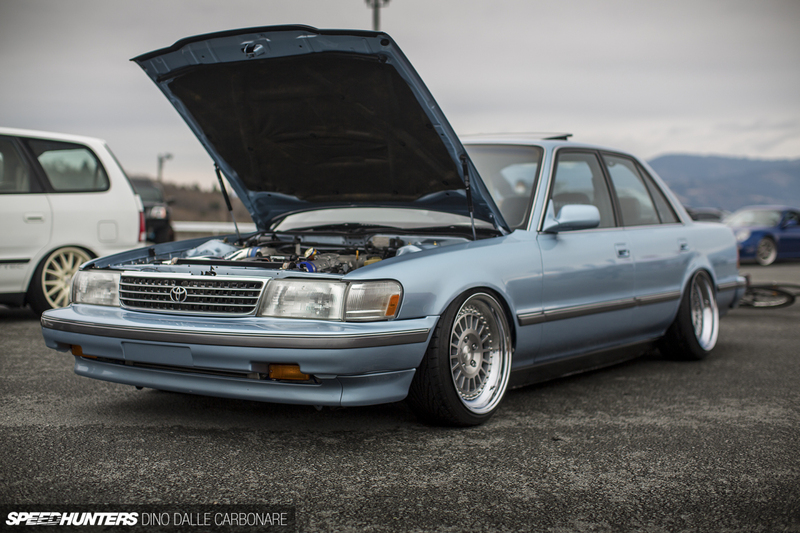 So while Cressida owners in the US would go for the Mark II or Cresta look, guys here in Japan continue to do the exact opposite by embracing USDM design cues and style traits. 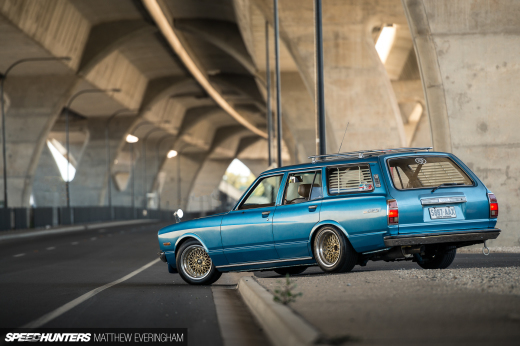 Which begs the question: why not just buy a real USDM Cressida? Simply, that’s too easy! And obviously the driving position would be on the other side of the car, and since this is a daily driver for most of the time, it would be a pain to live with. 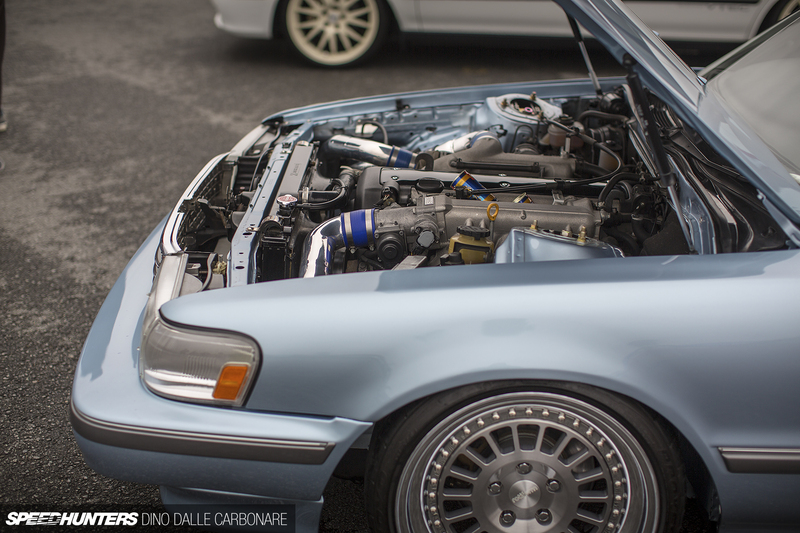 Plus, with this being Japan there are always plenty of ways one can add unique touches to a car like this, starting in the engine bay. Here, the stock 1G is replaced with a 1JZ-GTE and mated to a 5-speed transmission. 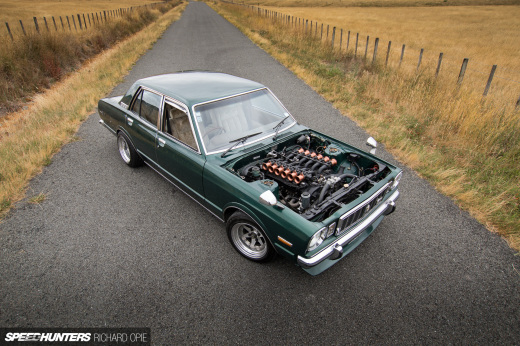 The 2.5-litre, twin-turbo six remains largely factory-spec, but it has benefitted from a hard piping kit and a GReddy front-mounted intercooler that lives behind a US-imported front bumper. 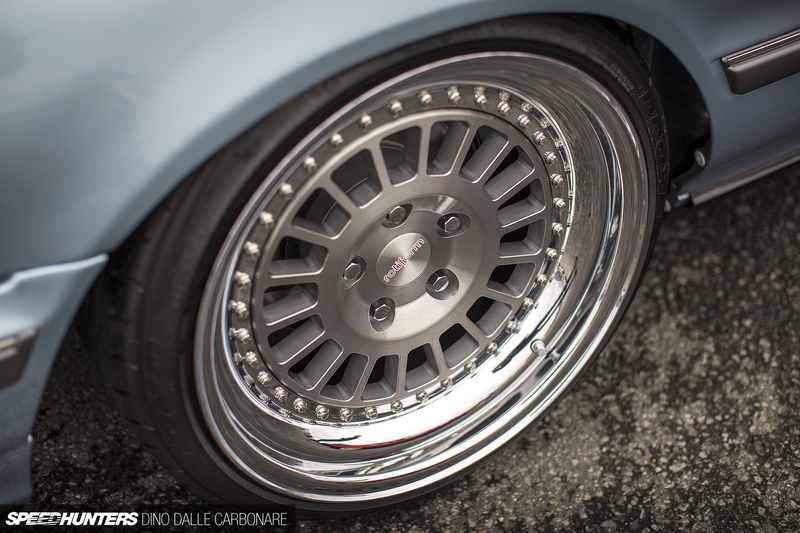 The car rides on Rotiform wheels which really complete the USDM look, as does the resprayed color – stock Cressida blue. 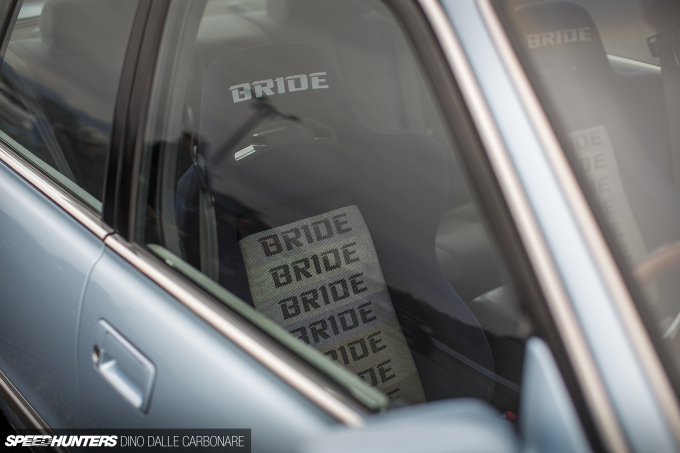 Regardless of whether the desire is JDM or USDM, Bride seats are always a must. As is a Nardi wood-rimmed steering wheel. 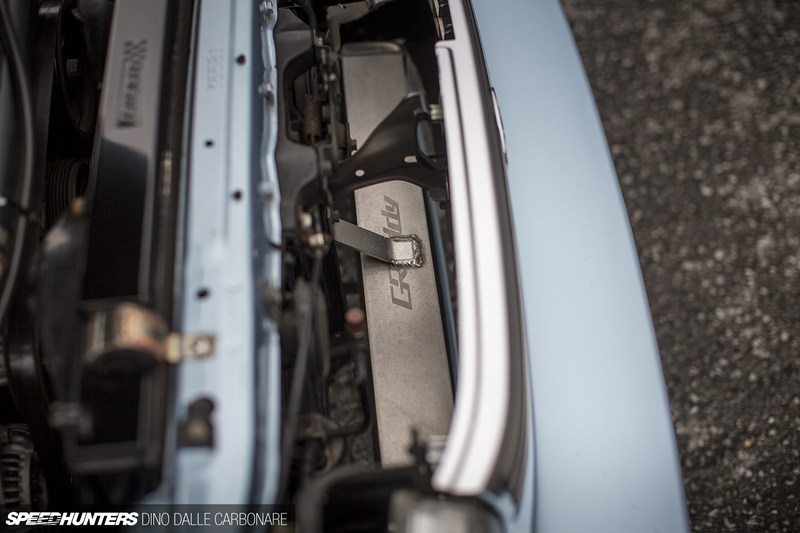 Not a fan of this type of car but can always appreciate the hard work and attention to detail they put into this car! Tuned Japanesse Cars looks always cooler than European cars. Thank you Dino after this fotostory i sell my BMW. I want a Nardi badly, but then again I wonder how many adapters I would need to mount it on a steering column of an Opel.